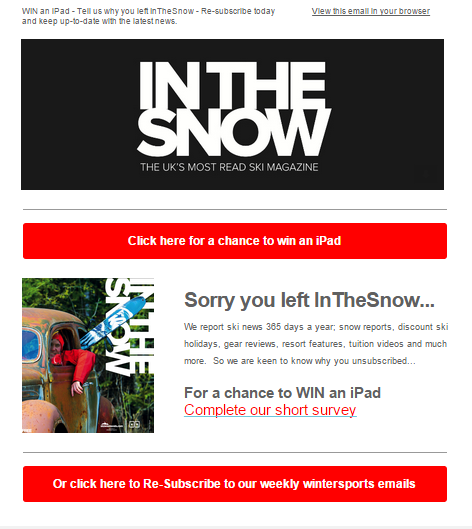 An email we received this week (shown below) demonstrates a well-thought out approach for dealing with newsletter unsubscribes from InTheSnow Magazine. You can’t please all of the people all of the time, and some of them will end up unsubscribing from your newsletters. However, one simple follow up email – such as the chance to win an iPad – offers a strong incentive for users to resubscribe, as well as gather useful data to prevent further loss of subscribers in the future. 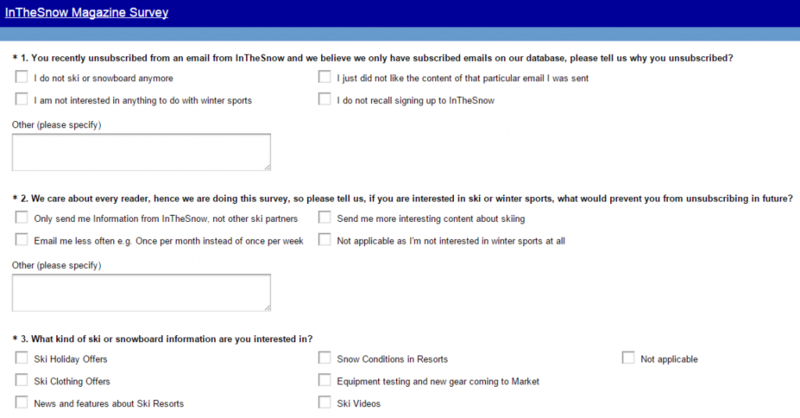 Ironically, I only unsubscribed as I received the newsletter to two different email addresses, but great work nonetheless by InTheSnow.